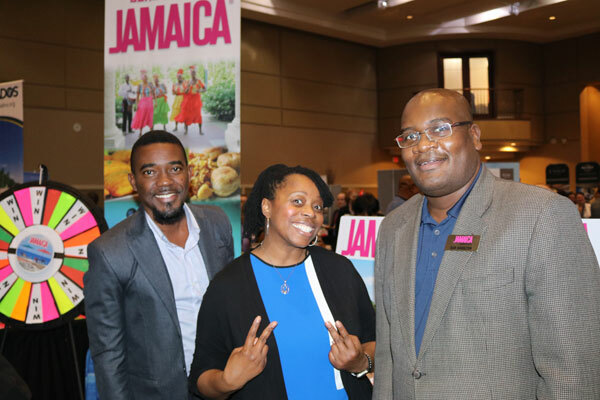 It was a night to remember as TravelBrands kicked off its fourth annual “Agent Appreciation” events last night (April 1) hosting in the neighbourhood of 700 Toronto-area agents at Paramount in Woodbridge, Ont. and showcasing the company’s latest changes. 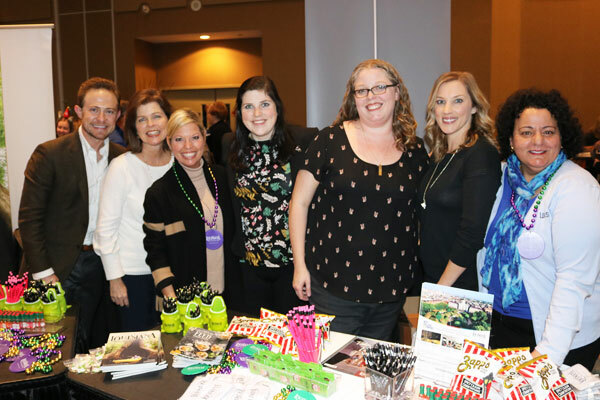 It was the inaugural show of TravelBrands’ Agent Appreciation series with remaining shows running through April 10 throughout Canada, including Ottawa, Quebec City, Montreal, Edmonton and Vancouver. 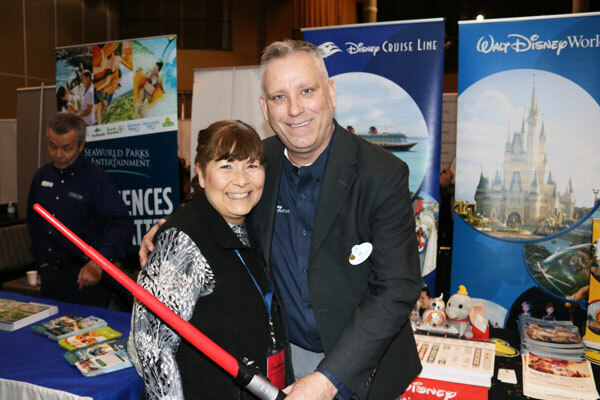 And to celebrate the shows, TravelBrands launched an exclusive contest for agents. One lucky travel agent can win $10,000 for themselves plus $10,000 for their agency. Agents must book at least two TravelGenie packages in the GDS between April 1 and June 30 to be eligible to win. Every additional booking serves as an additional entry. 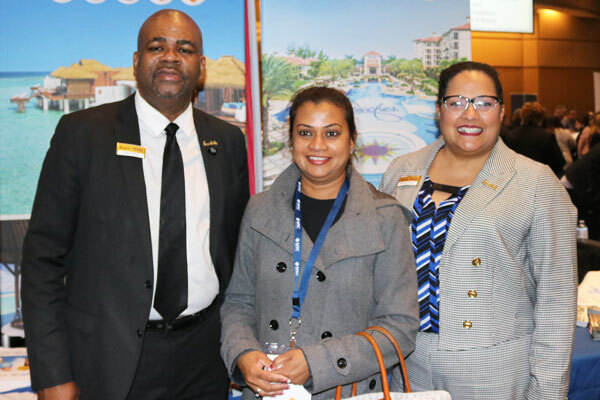 During the event, DeMarinis sat down with PressToday and explained that the recent acquisition of Red Label Vacations Inc. – which operates TravelBrands – by H.I.S. Co., Ltd. will mean little, if any, changes for agents. DeMarinis is staying on as president and CEO and has his executive team in place. H.I.S. is a publicly traded multi-national travel company based in Japan. With more than 12,000 employees worldwide, it has a presence in 158 cities across 70 countries. 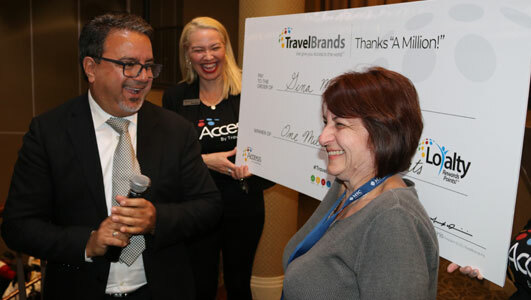 Following a VIP event with multiple partners, TravelBrands announced the agent winner of one million Loyalty Points – Gina Marcone (pictured in top photo) from Transat Travel in St. Catherines, Ont., who arrived in style (by limo) and was presented with a cheque of one million loyalty points. 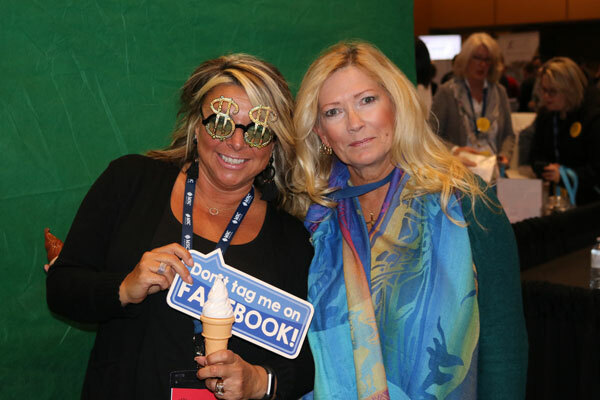 TravelBrands introduced a range of new technology to help agents with their bookings. Agents now have the option of offering a monthly payment plan to their clients. Monthly payments are offered on all land and TravelGenie bookings with a booking value of $700 or more booked outside of seven days from departure. On approval clients will be able to split their payment over an 11-month period. 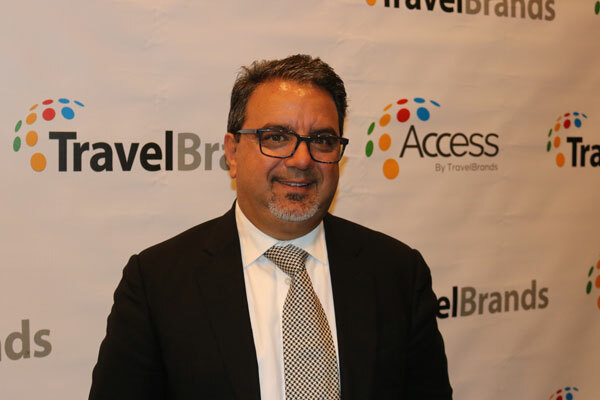 TravelBrands also unveiled its innovative fraud technology. Travel agents can use TravelBrands’ new credit card fraud application to detect and mitigate fraudulent charges. The application uses the information associated with each booking and gives a score to determine the risk of fraud. TravelBrands also expanded its SoftVoyage partnership by offering TravelGenie packages through SIREV. Now, agents can build custom packages for their clients to worldwide destinations using their existing GDS. This, according to DeMarinis, means more choices, total flexibility and endless possibilities for travellers.